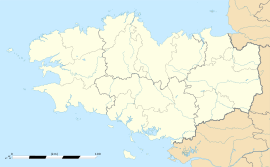 Crevin (Breton: Kreven) is a commune in the Ille-et-Vilaine department in Brittany in northwestern France. Inhabitants of Crevin are called Crevinois in French. Wikimedia Commons has media related to Crevin. This page was last edited on 27 May 2017, at 07:33 (UTC).